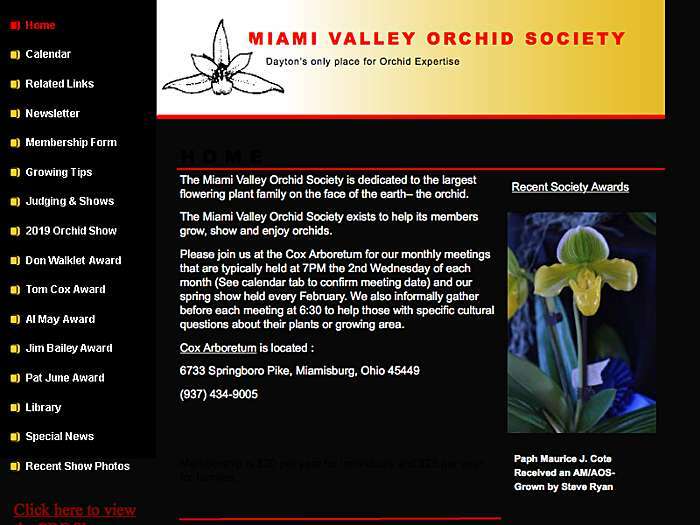 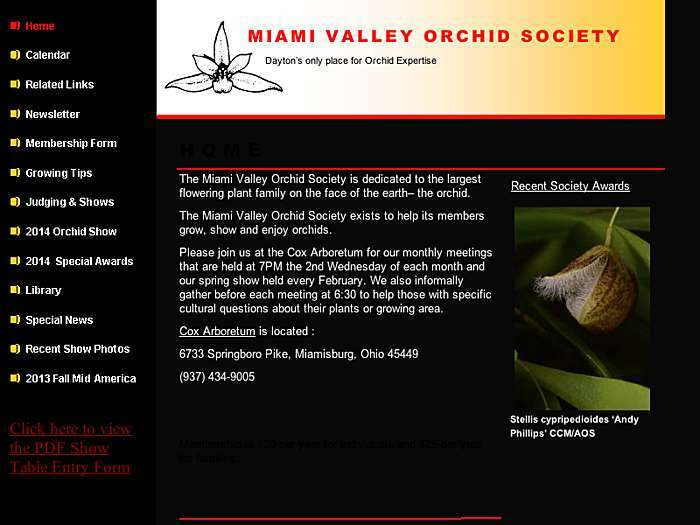 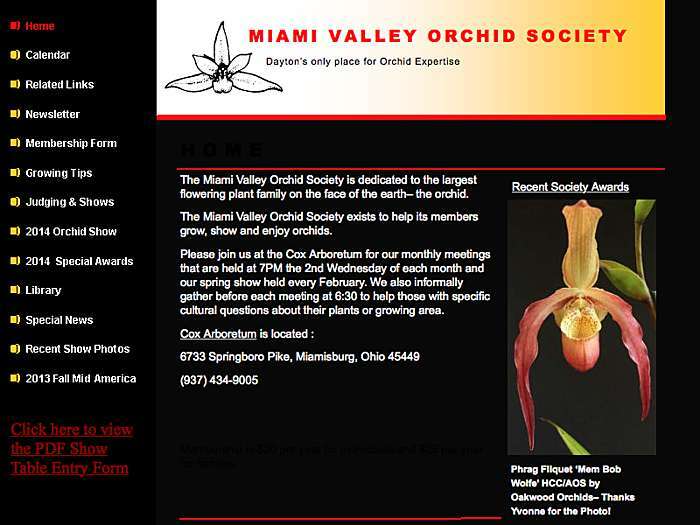 Members from the Dayton area grow, show, and enjoy orchids. Meetings, contact, events, and membership information are featured on the site. 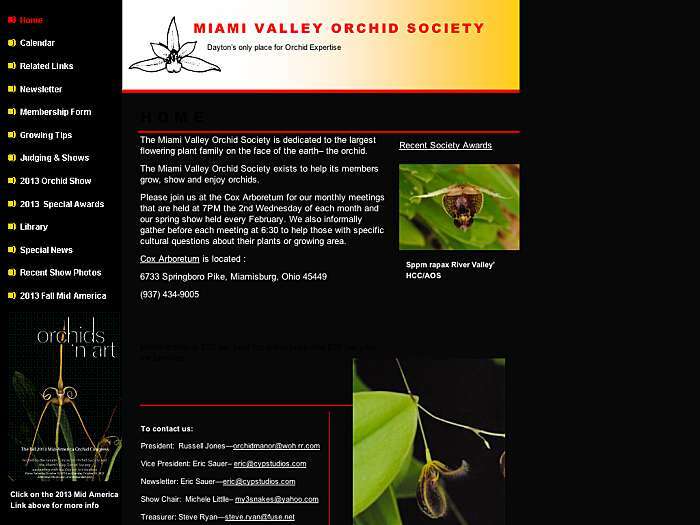 Miamisburg, Ohio, USA.